This solid marble business card holder will add a touch of luxonry to any desktop. 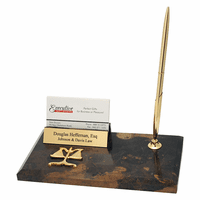 It is contructed of solid black marble with unique gold veins running through it. 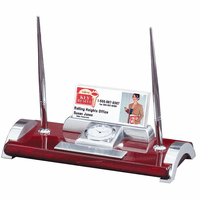 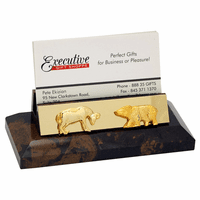 A brass card holder is attached to the top and holds up to twelve standard size business cards. A Caduceus emblem, the medical symbol consisting of a staph and interlocking serpents, is attached to the front of the card holder. 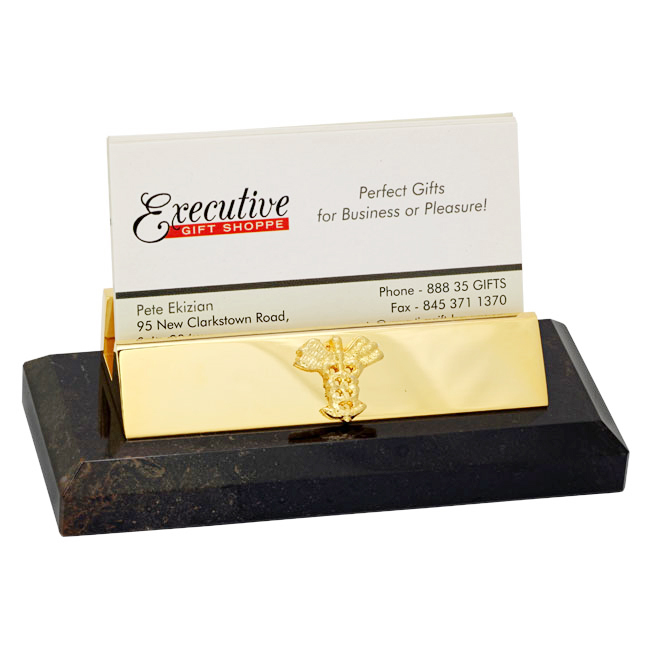 This doctor's and nurse's themed business card holder is a unique gift for your favorite medical professional.